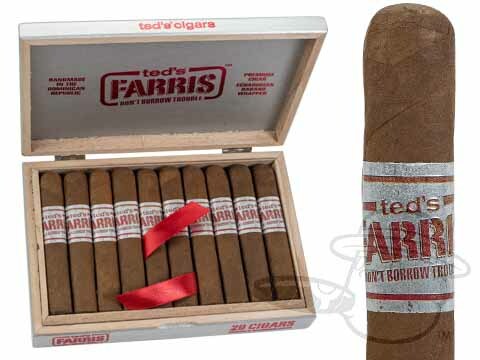 Ted’s Cigars boldest cigar to date, Farris by Ted’s Cigars features an Ecuadorian Corojo wrapper blanketing Dominican Olor binder and Nicaragua Viso, Dominican Cuban Seed Ligero & Seco filler tobaccos. 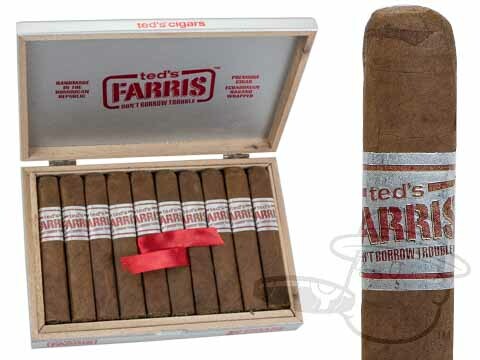 A complex blend of premium tobaccos, Farris conveys smooth taste with notes of smokey wood, spice, and more for an ultra-satisfying and engaging smoke. Box-pressed construction ensures a cool, even burn on every carefully crafted stick.